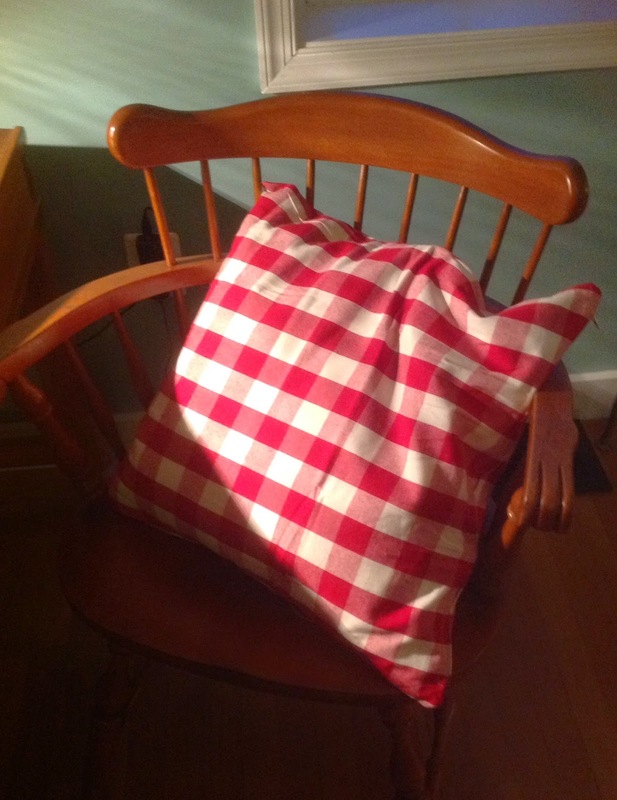 Your new pillow is so bright and cheerful! Bifold doors are the worst. We had them on the closet in our bathroom, and also concealing the washer and dryer, and about five minutes after we moved into our house, our three year old touched one of the doors and all of its slats collapsed and the door fell apart. Fifteen years later, we STILL haven't come up with a pair or curtains or other covering, so I commend your industriousness. Those expensive lightbulbs never last very long for me either, AND you can't just throw them away because they contain mercury. I hate them and I refuse to buy them now. Don't commend me yet - we have yet to hang that curtain rod. And can we still buy the old-style bulbs? I couldn't find them. I'm glad I'm not alone in the land of light bulbs. It's so confusing! I refuse to buy those ugly lightbulbs. Who wants to look at a spiral thing in my pretty ceiling fan.